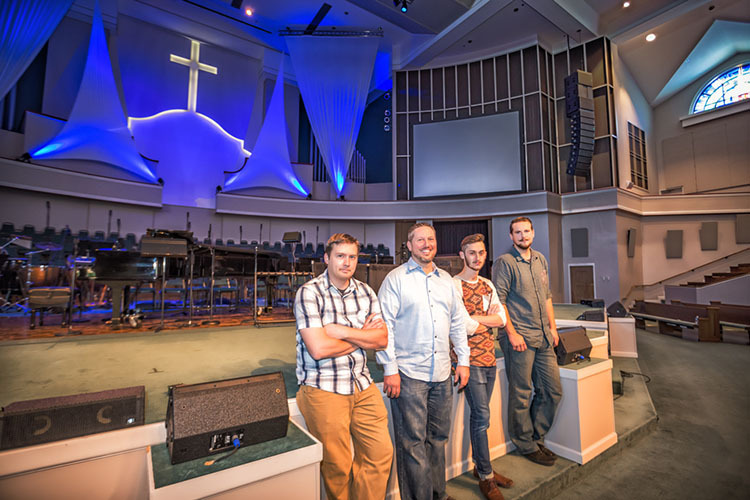 Having taken its old mono PA system as far into the future as it could go, First Baptist Church Hendersonville was ready to provide its growing congregation with an immersive modern worship experience including a state-of-the-art sound system, video and lighting. 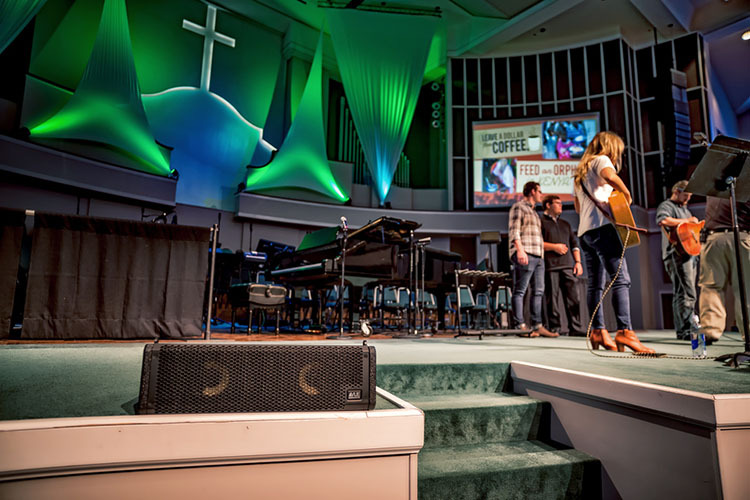 VUE Audiotechnik loudspeakers and amplifiers were chosen for the upgrade, with installation handled by video and audio consultant/designer Technical Innovation of Nashville, Tennessee. 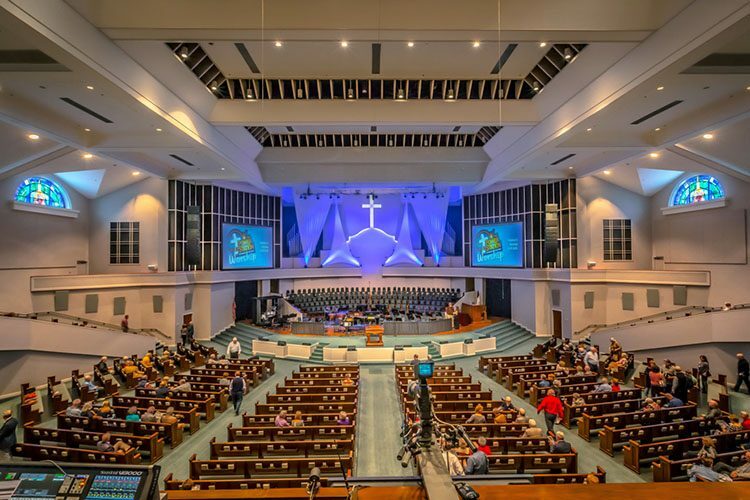 VUE loudspeaker arrays were installed on either side of the sanctuary, each consisting of 10 al-8 high output line array systems and three al-8SB flyable subwoofer systems flown in a cardioid configuration, for coverage of the main congregation area in the 2,200-capacity room. Eight VUE al-4 subcompact line array systems were placed on the floor at the lip of the stage, to serve as front fills. 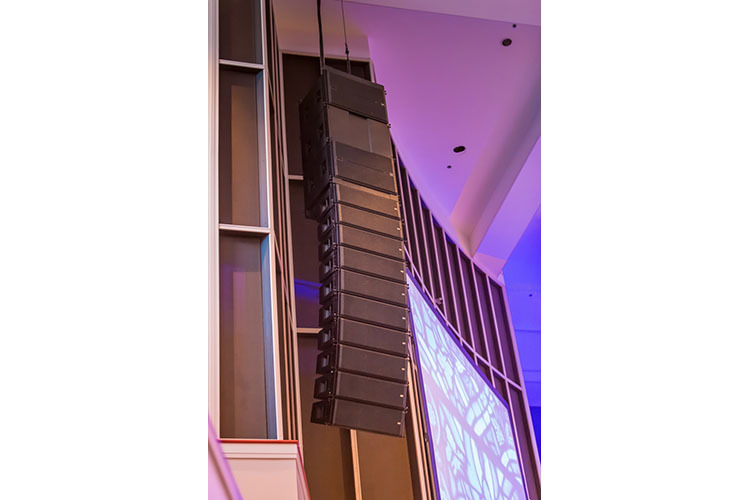 The al-4’s controlled dispersion pattern enables the front rows of the congregation to clearly hear; the setup’s extremely low profile doesn’t interfere with sightlines either. Six V6-i and two V4-i VUE V Series system engines power the new system. A newly installed Soundcraft Vi3000 digital live sound console serves as the system’s front end, providing the front-of-house and monitor mixes. 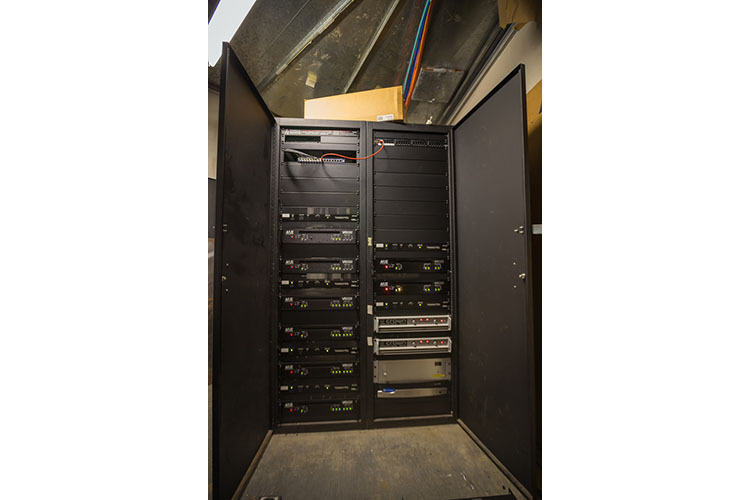 The antiquated wedge monitors from the old system were replaced with six VUE a-8 compact full range systems that feature a pentagonal shape appropriate for use in horizontal or vertical orientation. The a-8 is a two-way, passive design with an eight-inch, Neodymium low-frequency driver and a compression driver coupled to a 70º x 55º rotatable horn. Ben said the a-8s, while being significantly smaller, ‘blow away the old wedges’ the church had used up to this point. Two a-10 loudspeakers were also installed on each side to cover the balcony stairway area.